Executive Easel Flipchart Binder Letter Size Flipchart Easel Binders  : BindersNow.com, Quick, Easy & Online! Make a great presentation. Professional binder flips open to form a stand for your slides. Just flip the pages up and over the top to keep them out of your way as you go. 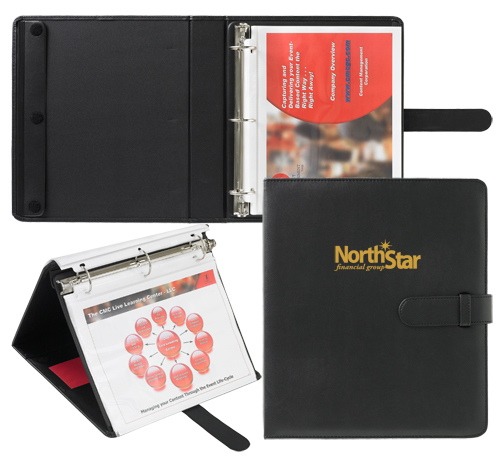 Customize with your own logo debossed or silkscreened on the upper center front cover.